The dragons are roaring, the fairies are in a flap and the mice are out of cheese! Can JoJo Gnome save the day with his home-made presents? 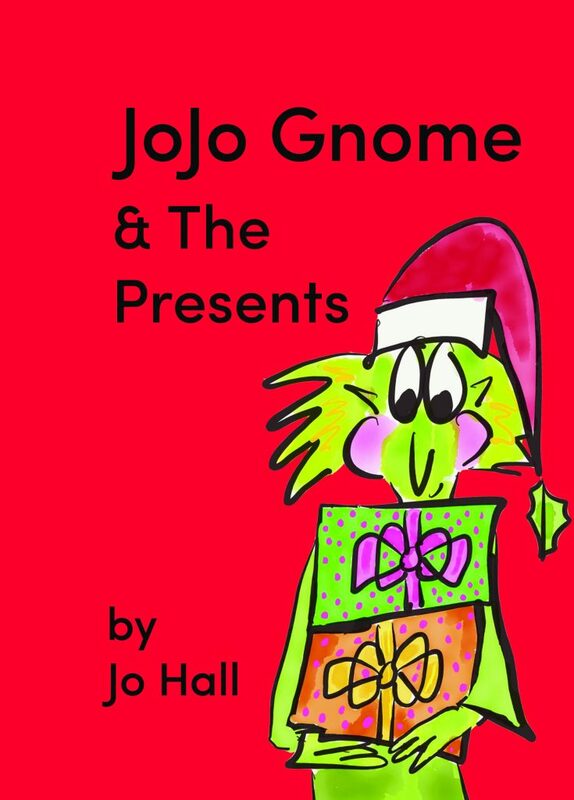 ‘JoJo Gnome and the Presents’ is an ideal seasonal tale for ages 3-6 years. 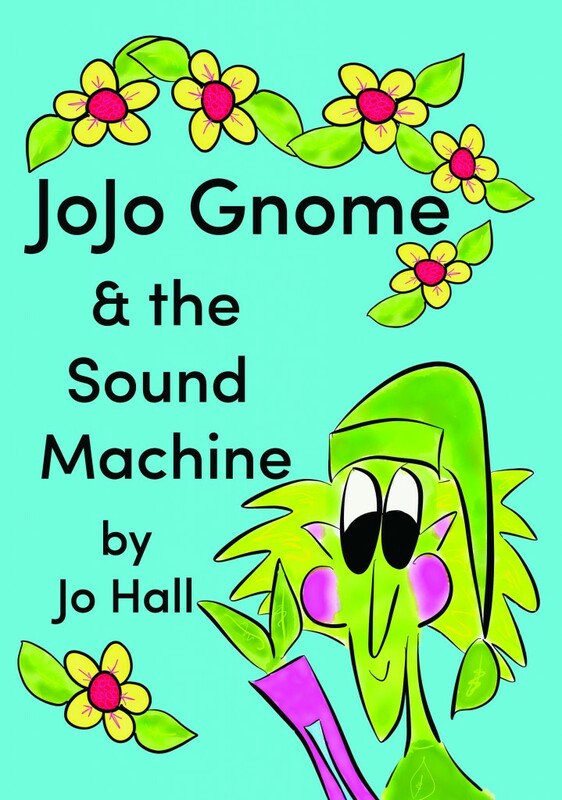 This is the third in the series of JoJo Gnome books written by Scottish author Jo Hall. Find the mouse hiding on each page. Buy through JoJo’s Etsy shop and get free P&P on UK mainland. 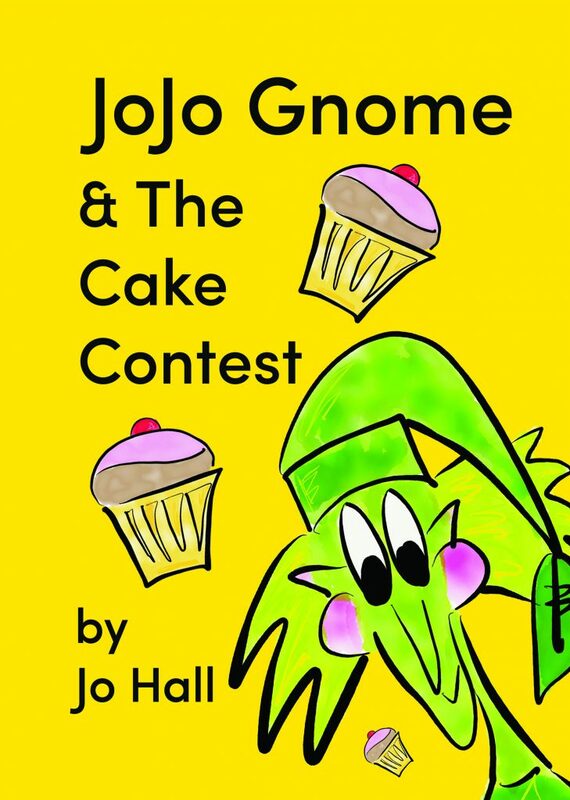 JoJo Gnome enters a baking contest with his Aunty Molly with unexpected results. There is a yummy recipe included in this book. JoJo is loved by young children and adults alike. Ideally suited for ages 3-6 years. This is book 2 in the JoJo Gnome series. Buy through JoJo’s Etsy shop and get free P&P on UK mainland. JoJo Gnome has invented a sound-collecting machine. This fun little gnome sets off to record a sound adventure to bring back for his Grandpa. You are encouraged to join in and guess what sounds JoJo finds along the way. JoJo will inspire younger children to listen out for other sounds and create their own stories. JoJo is loved by young children and adults alike. Ideally suited for ages 3-6 years. This is book 1 in the JoJo Gnome series.